When one thinks of progress in AI, one is naturally drawn to highlights in the research and development arena of North America, Europe, and Asia. The antics of computers playing board games, Google’s self-driving cars and Japanese robotic assistants continuously hit the news, and this isn’t even including the cutting-edge research that may not make it into mainstream awareness. Worldwide, the scale of investment into AI is well into the billions of dollars, with all signs pointing towards a strong upward trend. Research in this arena no longer falls exclusively within the academic realm, with most large international technology firms employing growing teams of AI researchers. Africa has long lagged noticeably behind in these trends, but thanks in part to efforts from a wide range of groups, this is no longer the case. One of the first of these efforts was Data Science Africa, an annual meeting in East Africa that grew out of collaborations between African and British institutions in 2013. This now acts as a regional hub for local researchers to discuss problems and solutions as well as provide cutting-edge training. 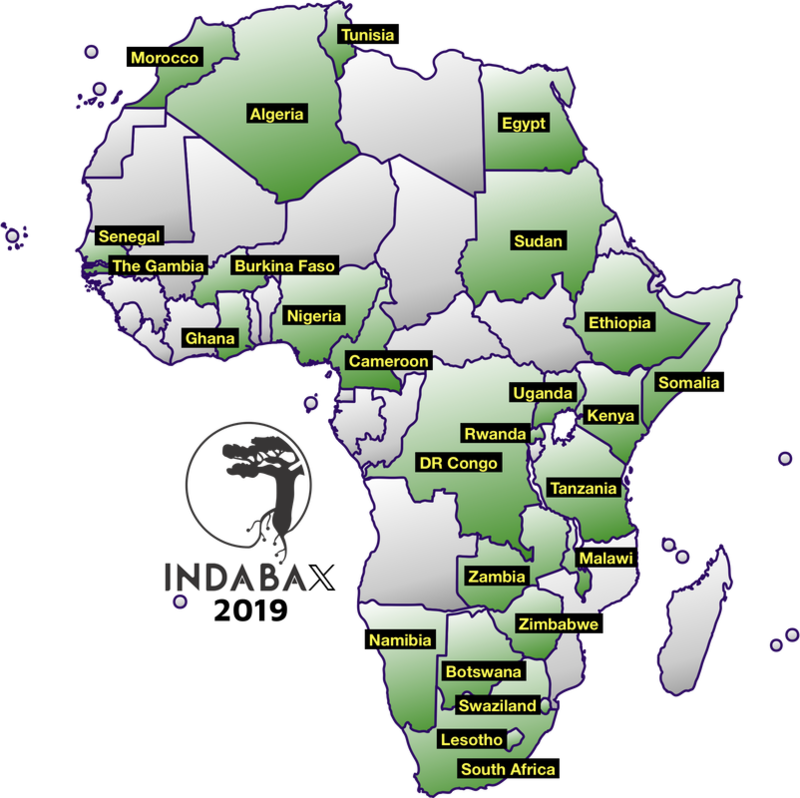 The movement already has a footprint in Uganda, Kenya, Tanzania and recently Nigeria. On the front of formal training, numerous AI and machine learning courses and degree programmes are now available to students at a postgraduate level throughout Africa, including the African Masters in Machine Intelligence (AMMI), founded in 2018 and hosted by the African Institute for Mathematical Sciences in Kigali, Rwanda. AMMI itself is something of a flagship, being supported entirely by Google and Facebook and featuring courses taught face-to-face by academics from around the world. Only 31 students were accepted in 2018 from well over 1,000 applicants. The programme is being greatly expanded in 2019. From a research perspective, much progress has also been made in recent years with the establishment and strengthening of research groups at various universities, such as the University of the Witwatersrand and Stellenbosch University, both in South Africa. Both universities have been leading the way in international research publications at top tier venues. In addition, corporate research labs have started appearing with the hopes of growing the local research culture, including Google Research in Accra and IBM research in Johannesburg and Nairobi. While the aforementioned examples are by no means exhaustive, they are indicative of the rapid growth and consolidation of the African machine learning community. Given this promising growth, it is worth considering how the current state of play is going to progress and whether or not it can do so in a way that allows African stakeholders to be their own agents in a global research trajectory. From a research perspective, it is useful to identify three core pillars of AI research, what can be called the ‘foundational’, ‘applied’ and ‘impact’ pillars. Foundational research forms the theoretical basis on which other areas of research are built. It is often aligned with scientific questions. Applied research focuses on developing applied technologies and is aligned with an engineering approach. Impact research focuses on ensuring that the use of science and technology is aligned with the good of society and the environment. The latter falls more in the humanities and social sciences, addressing questions both of how best to guide research and how best to implement the products thus engendered. Africa has certainly made progress with advancing the applied pillar of research in AI, addressing the question of what AI can do for African peoples in diverse contexts. One example of such applied research is the exploration of using cheap wearable sensors and machine learning technology to monitor the activity of dairy cows, which could potentially allow farmers to keep track of their herds at all times. Another example is the potential application of machine learning to aid humanitarian efforts in natural disaster zones or conflict regions, by assisting human analysts in interpreting remote sensing imagery from satellites and drones to better coordinate interventions. Recognising the value that these emerging technologies can have for offering solutions to complex and context-sensitive problems, funding is increasingly being pumped into applied research. Some progress is also being made in addressing the impact pillar of research with regard to how the various products and technologies are implemented, which goes hand-in-hand with developing them in the first place. For instance, the 4IRSA initiative in South Africa brings together various stakeholders to define coherent and context-relevant trajectories for emerging technologies, taking into account how they can impact lives. The recently-released Microsoft white paper, Artificial Intelligence for Africa: An opportunity for growth, development and democratisation, identifies principles that ought to guide the development of codes of conduct for what is required of AI systems, including that AI systems treat all people fairly. With the primary focus on the development and impact of applied technologies, it is notable that foundational research is very much on the sidelines. Foundational research is largely being left to international players with few funding opportunities available in Africa for pursuing foundational issues. So, while research in Africa is progressing, there is room for African players to take more active ownership of both the field as a whole and the trajectory to be followed across the continent. Specifically, more focus could be put on developing the foundational and impact pillars of research. Foundational research is fundamental for providing the theories that underpin applications. Without Einstein’s theory of general relativity, for instance, the theoretical base from which GPS technologies were developed, along with their related navigation tools, would not have come into existence. Similarly, applications of machine learning technology depend on the very development and advancement of machine learning, which faces foundational challenges ranging from being able to use data more efficiently, to understanding the dynamics of learning. Generally speaking then, without foundational research, applied research will be severely limited and will struggle to advance. But if foundational research is already happening in the international arena, why should African researchers focus their attention there? In the history of science, major advances have been made through paradigm shifts arising from ideas that have started life going against accepted norms. Newtonian physics and, in turn, the theory of relativity are key examples of such shifts. Encouraging a diverse and inclusive community of researchers opens up the space for such ideas to emerge and advance a field. For the advancement of global foundational research, we thus arguably want to encourage a broad base for thinking about foundational issues that represent conceptual developments of the field and not have the pivotal foundational research being conducted by a select group of homogenised individuals. In addition, expanding foundational research can also serve to benefit African interests. While researchers in Africa are undoubtedly well-placed to tackle African problems, the growth of a skilled and knowledgeable body of potential researchers means that African capacity can increasingly extend itself beyond only solving those problems. As this body of researchers grows, it is likely that the number of those who are interested in the scientific, foundational questions will also grow, and if we fail to attract such researchers, the risk of losing them to international forums will also increase. And if a strong foundation feeds into quality applied research, then all the more reason to encourage a broader research focus. Developing research in the impact pillar is another area where African players can take ownership of AI. Internationally, various guidelines for assessing the ethical implications of AI for society have been drawn up, but it is notable that African voices are mostly lacking from these documents. And while questions regarding the implementation of various technologies are being widely debated across the continent in forums such as 4IRSA, documents such as Microsoft’s white paper call attention to the need to guide the impact of AI in Africa. In this regard, a comprehensive set of guidelines has yet to be developed taking differing African interests to heart. As of present, international sources have been widely referenced in African-focused discussions. Yet, we must be wary of certain values and solutions being applied uncritically in African contexts. For instance, a recent report from the European AI4People project identifies five ethical principles for ‘good’ AI in society drawn from the widely accepted principles of bioethics: the principles of beneficence, non-maleficence, respect for autonomy, justice, and an extra principle specifically for AI, explicability. Yet, applying principles like these is likely to result in different practices and recommendations in different cultural contexts. In Western bioethics, for instance, respect for autonomy has typically been taken as requiring that an individual freely decides what to do with their body without being coerced by others. But how best to apply such a principle is far more complex in less individualistic and more communitarian contexts, a prime example of which is the southern African philosophy of Ubuntu, which emphasises the interconnectedness of people. In a communitarian context, people often engage in joint decision-making or refer to authority figures for guidance. For instance, a study on women accessing ante-natal care in Malawi found that a major factor influencing whether and when a pregnant woman would attend an ante-natal clinic was advice from their mothers or spouses even if in conflict with medical advice. At what stage is someone no longer exercising their autonomy in a meaningful sense if they incorporate others into their decision-making, and how much does it actually matter? By extension, might the extent to which we are willing to delegate decision-making authority to AI systems vary across cultural contexts and what implications does that have on both research and implementation? Should we even accept these principles as relevant to typical African values in the first place, an assumption that has been challenged by those working in bioethics in Africa? By asking such questions we seek not to disregard important work done internationally, but instead to draw attention to the fact that care must be taken when applying international frameworks in very different contexts. Africa is currently developing the capacity for AI research and much valuable and interesting work is being done in the form of applied technologies for African contexts. 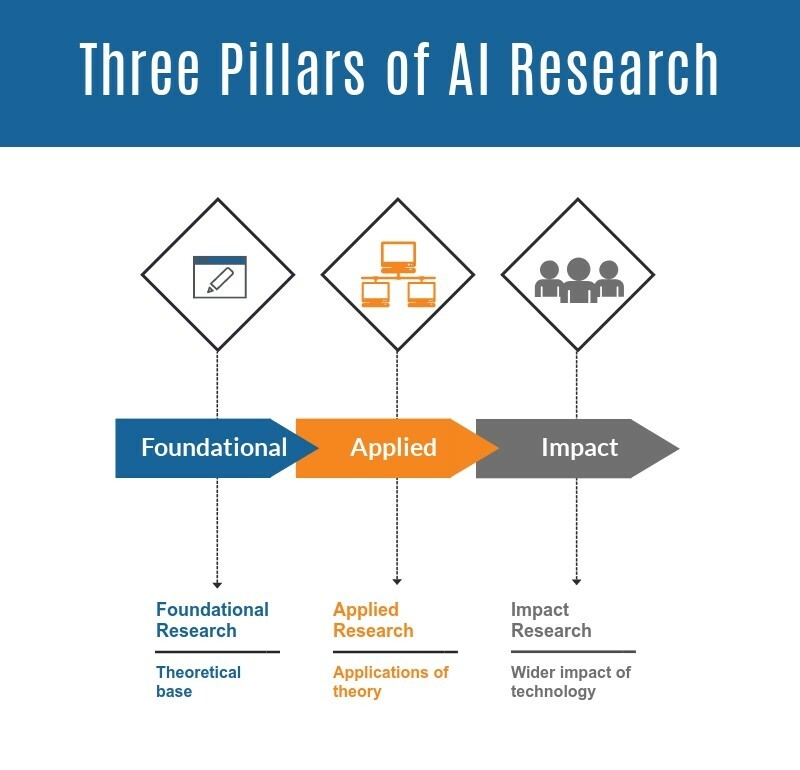 Nevertheless, the applied pillar of research is only one of three pillars, where foundational and impact research are also vital to taking ownership of AI. These pillars shouldn’t just be outsourced to international arenas. Rather, Africa has the potential, the developing talent and the need to take joint ownership of all three pillars of AI research in a way that is sensitive to African capabilities and interests. Research around AI technologies is developing across Africa, as is seen in the growth of education and training initiatives, indabas and conferences across the continent. Funding and attention is largely being directed towards developing applied technologies. But there are two other important pillars of research in addition to the applied, namely, foundational and impact research. Both foundational and impact research contribute to taking AI forward and are areas where African researchers can and should contribute meaningfully. Not doing so can overlook issues that are sensitive to African interests and risk under-utilising the research potential that is already being developed. So, if Africa is to take joint ownership of AI, we need to make sure that African researchers guide the development of all three pillars of research while keeping human, environmental and African interests at heart. Dr. Mary Carman currently serves as a Lecturer in Philosophy at the University of Witwatersrand and as an independent consultant with IOA. To learn more, please visit her academic website. Dr. Benjamin Rosman currently serves as Principal Researcher in Mobile Intelligent Autonomous Systems at the Council for Scientific and Industrial Research and as a Senior Lecturer in Computer Science and Applied Mathematics at the University of the Witwatersrand. To learn more, please visit his academic website.